Construction Day Camp: Volunteering with Girls Inc. 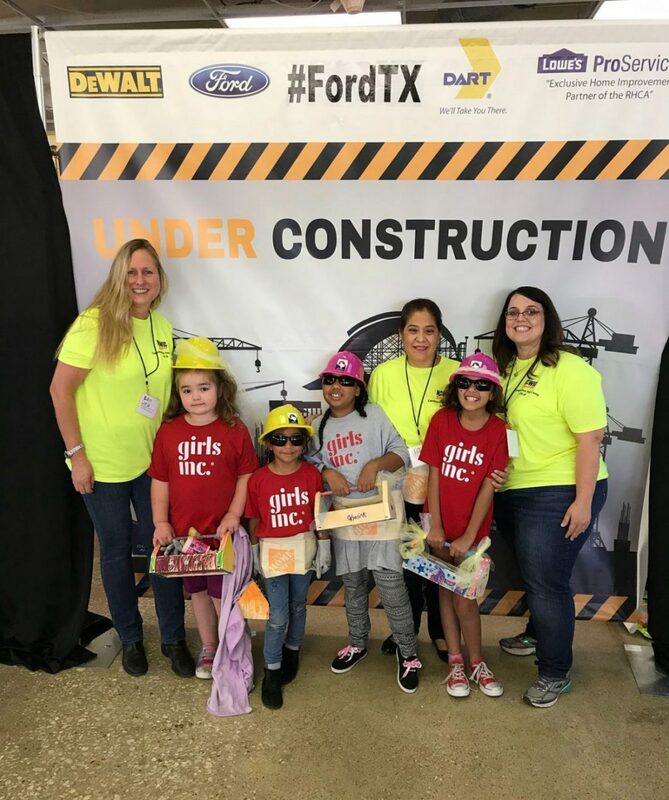 Earlier this month one of our Arlington team members, Camber Mathis, volunteered at the second annual Construction Day Camp held by the National Association of Women in Construction (NAWIC). The event hosted 60 girls ranging from ages six to nine, all from the program Girls Inc., which serves underprivileged girls by providing mentoring opportunities to become successful women. Girls Inc. frequently partners with schools, communities and local organizations like the NAWIC to make sure each girl receives proper mentoring so they can develop high self-esteem skills and grow up living healthy lifestyles. Knowing that women made up a small portion of the construction industry, the NAWIC was organized in 1953 by sixteen women working in the construction industry to provide a support network that offers professional development, education, networking, leadership techniques and more. 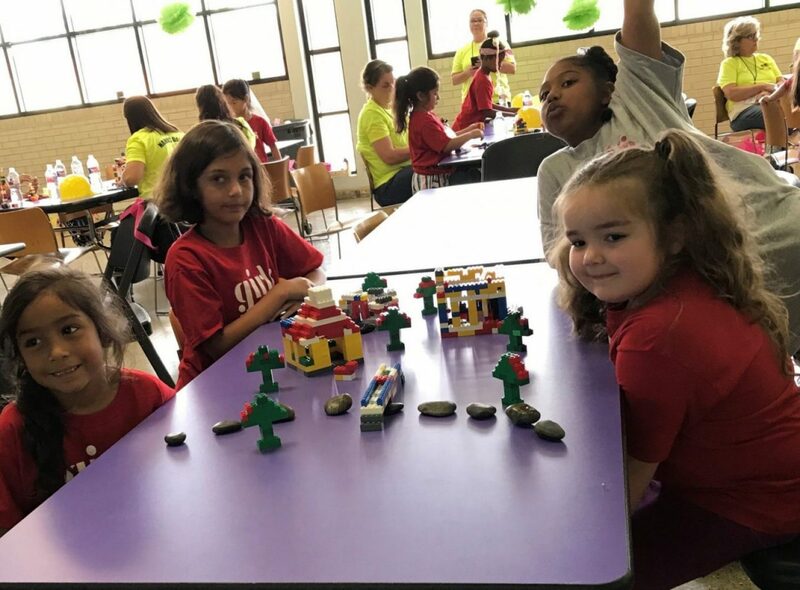 Like the NAWIC, one of Girls Inc.’s primary goals is to promote opportunities for girls in Science, Technology, Engineering and Math (STEM) fields. Despite filling close to half of all jobs in the U.S. economy, women currently hold less than 25 percent of STEM jobs. To address this disparity, Girls Inc. seeks out afterschool and summer learning opportunities, such as NAWIC’s Construction Day Camp, which strengthens life and leadership skills for girls who otherwise might not be given those learning opportunities. This year’s Construction Day event was held at the Regional Hispanic Contractors Association office, an organization founded to promote the advancement and growth of Hispanic Contractors located in Texas. 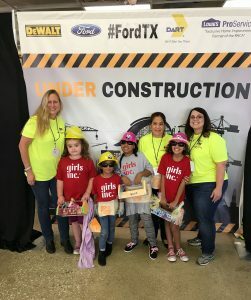 The event began with a panel of women in different roles including a safety manager, a project manager, an attorney, and an environmental impact specialist to promote leadership and self-confidence for the girls. After the panel, the girls participated in several group activities to build their teamwork skills and interest in STEM. Braun Intertec fully supports the importance of giving back to our communities by supporting organizations like these and has been heavily involved in various STEM education opportunities as well as supporting a variety of other organizations. The opportunities that Girls Inc. provides to young girls and adolescents who don’t typically have those same opportunities is something Braun Intertec strongly believes in.